Long renowned for exceptional service and flawless French cuisine, this much-loved restaurant has been redesigned; elevating its interiors and terraces to a level of luxe befitting its reputation. Overlooking the river Thames and situated by Tower Bridge, Le Pont de la Tour is more than just a restaurant – with a bar, food store, wine merchant and bakery – it is the original Gastrodome.<br><br>We are looking for an ambitious and charismatic Assistant Restaurant Manager to assist in the management of this exciting restaurant. You must be passionate about food, service, and people.<br><br>As Assistant Restaurant Manager you will be part of the driving force behind the offering; supporting the Restaurant Manager in planning, leading the team, developing the business and continuously delivering high service standards. We welcome creative ideas and require an energetic approach.<br><br>Main responsibilities:<br><br>•	Exceptional service standards and attention to detail <br>•	Support in the development of a motivated and high performing team committed to delivering clear goals <br>•	Manage the restaurant floor in the Restaurant Managers absence<br>•	Identify areas for growth and commercial opportunities <br>•	Support the management of the restaurant budgets, pay role and all financial aspects of the restaurant <br>•	Previous experience of working as an Assistant Restaurant Manager in a similar environment <br>•	Actively seek guest feedback, responding accurately and adapting as necessary <br>•	Overall you will have bags of personality, enthusiasm and a can-do attitude<br><br>D&D London is a collection of restaurants as individual as you are. Some of the benefits of working for us include: <br><br>•	Substantial career progression<br>•	Personal development and training - including the opportunity to complete the industry-leading D&D Diploma<br>•	28 days holiday that increases with length of service <br>•	Free meals on duty <br>•	40% discount in all D&D London restaurants<br>•	Fantastic bonus scheme<br><br>If you are interested in discussing the Assistant Restaurant Manager role further, please send us your CV without delay! 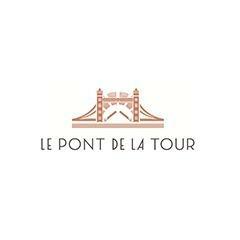 Le Pont de La Tour is posting their hospitality jobs on Harri.